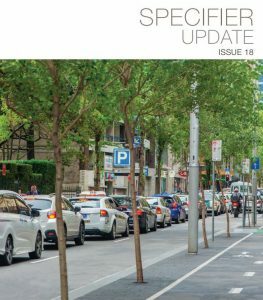 While we need trees within our cities – to provide shade, reduce the heat-island effect, clean the air and house wildlife – preventing tree roots from interfering with infrastructure is an on-going issue. The most effective solution is to direct them away from surrounding infrastructure and services. Roots have two main roles –anchoring street trees in the ground and collecting minerals, oxygen and moisture to supply the tree. They are also a store of moisture and nutrients. The root cap is a mass of cells at the tip of the root. It grows by lengthening cells behind the root cap, forcing the root tip through the soil. Minute root hairs sprout behind the growing tip and absorb soil moisture. Roots grow where water, minerals and oxygen are found in the soil which is usually in the surface layer of soil. Hence the largest concentration of feeder roots exists in this zone. Tree roots can be guided to grow in certain directions to avoid disrupting surrounding infrastructure, with minimal impact on the tree. 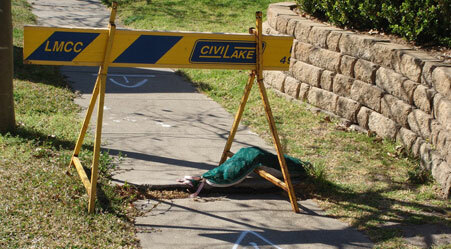 Root barriers are typically used to guide them away from infrastructure and can also protect pavements, footings and kerbs from cracking and lifting. Usually made from either virgin or recycled industrial polymers, root barriers come in various forms and sizes. These include the ribbed modular units, the ribbed linear material and also the dimpled and non-ribbed linear material. Continuous lengths of material are available in a range of widths that can be installed to various depths depending on the application. Citygreen supplies linear ribbed barrier in 300mm deep rolls for applications tree roots only need to be deflected fairly superficially such as to protect a standard pedestrian kerb line from surface rooting. Depths of 600mm and 1000mm are also available for the protection of paved surfaces, shallow service ducts and utilities, while a high strength 2000mm deep root barrier has been developed for deeper applications. For example, this width is often used in new service infrastructure projects, business parks and housing developments. Root barriers are best laid before the tree is established although often a linear barrier can be retrofitted around mature or existing trees. The barrier is able to curve around obstacles and is often rigid enough to hold its form when backfilling. It also protects the tree when pavement reinstatement works are carried out. Preformed, ribbed modular units, or Root Directors, are also available and incorporate many critical features such as tapered sides, prominent root training ribs, no joins for root penetration and ground locking panels to resist root heave. These units may be used to protect pavements and hard landscaped areas, diverting root growth downward and outward. Installers report that these units are simple and quick to install, however designers and contractors must ensure that an appropriate model is selected, relative to the mature size of the tree species. Finally root barriers may be laid horizontally over the root zone of newly planted street trees to prevent the roots growing laterally under the pavement. Overall barriers are beneficial for trees. Roots are protected, a deeper system is encouraged and the tree gains greater drought tolerance and improved stability.